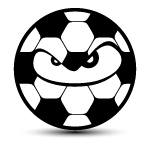 Previously, we reviewed the NSCAA Technical Exercises for Youth Players DVD from SoccerPro. Today, we are reviewing the Adidas Copa Edge Backpack. 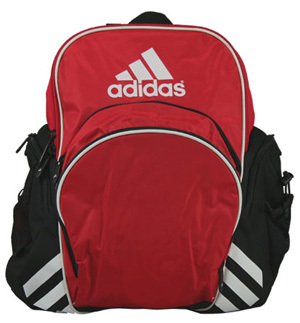 This backpack is not only great for soccer, but it can also be used for school or everyday use. But we’ll focus more on the soccer aspect of the bag in this review. When looking at the front of the backpack, the first thing you may notice is the number of pockets it has. The front pocket is a good size for a number of things. It will stay dry since it is covered. However, there is a zipper that allows you to expand the size of the pocket. When doing so, there is a mesh cover allowing it to air out. This is great if you store a soccer ball there. The pocket on the right side is a good spot for things you want covered up but aren’t that valuable. Connected to the right pocket is a mesh net that can be used to hold a water bottle. The pocket on the left side has a mesh opening allowing it to air out. This is a great spot for sneakers and cleats. And yes I think there’s enough space to fit a pair of each. Opening the main compartment of the backpack, you’ll notice it is very spacious. There are two inner pockets. One is great for a cell phone. The other is great for a wallet, money, loose change, keys, etc. Your keys could also hang on the small latch that hangs inside too. The backpack comes in a variety of colors so take your pick! The only downside is whether SoccerPro actually has them in stock! If you have bought this backpack, please let us know what you think by leaving your comments below!